Ever had that been there, done that sort of feeling. You’ve stayed in various star rated hotels and resorts, tried the B&B experience, rented short-term self-catering apartments, even camped rough, but you are now in the mood for something different for the next holiday break. Here are a few ideas to tempt your imagination. How about glamping? Glamping is what is considered to be glamorous camping, and it can be glamorous indeed. One great option under this category of unique and quirky accommodation is known as The Eyepod. 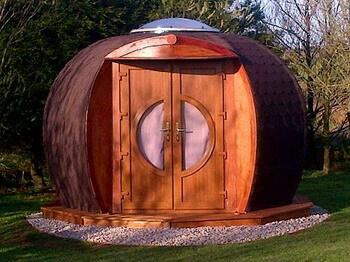 Strongly resembling a Hobbit House this charming and tiny spherical pod is available for your accommodation at The Willows Abersoch in Gwynedd, Wales. Offering five star facilities, this tiny home has a TV with DVD player, a small fridge, kettle and heat, loads of electrical sockets, free WiFi, and lots of storage space. The seating and table in the pod convert to a comfortable double bed and the whole thing is completely insulated, so it’s cool in summer and warm in those chilly winter months. If small, wooden and round is not quite your thing, and you would rather be on the move during your holiday break, Spaceships Campervan Rentals have the perfect option. 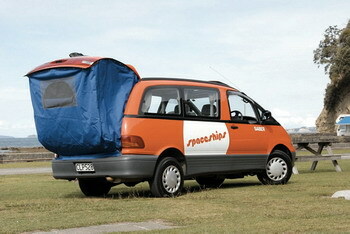 While just like a normal car to drive, these campervans are so much more when you want to stop and stay over. These award-winning vehicles include features like a large double bed, virtually a fully-equipped (if small) kitchen, CD/DVD player with screen and even free DVDs to watch. 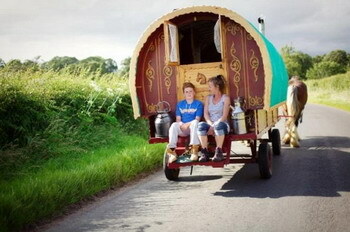 If you would rather take things a little more slowly, how about an authentic Gypsy caravan complete with a horse? Wanderlusts in Cumbria, offer this opportunity. Take your time ambling around the various campsites in the Lake District in old-fashioned style. The caravans are really cosy with a double bed plus two small fold out children’s beds, a gas hob, all the necessary kitchen utensils and lots of cupboards. A water container and a small, stick-burning stove complete the picture. There is a bay window to enjoy the scenery from inside your quaint home and a stable door to enter and exit. There are many more quaint and wonderful ideas available for a great and unusual holiday in the UK. Have fun and do things a little differently on your next holiday!